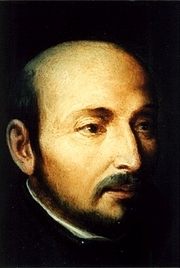 Ignatius of Loyola (ca. October 27, 1491 – July 31, 1556) was a Spanish knight from a local Basque noble family, hermit, priest since 1537, and theologian, who founded the Society of Jesus (Jesuits) and, on 19 April 1541, became its first Superior General. Ignatius emerged as a religious leader during the Counter-Reformation. St Ignatius of Loyola is currently considered a "single author." If one or more works are by a distinct, homonymous authors, go ahead and split the author. St Ignatius of Loyola is composed of 60 names. You can examine and separate out names.